The Furious 3 is coming! What made you decide to organize your own stage race? I have a background in event organization, specifically in Triathlon. After doing the BCBR in 2008, I kept thinking about how great it would be to have a three day event that you could host over a long weekend. In Fernie, last September, it hit me that this was the perfect venue. Fernie has a multitude of trails of such varying terrain and all of the facilities that a multi-day race would need to be self-sufficient. The warmth and hospitality in Fernie definitely helps. It was then that I started to organize the Furious 3 multi-stage Mountain Bike Race. At first I thought that I would host the race in 2010, but I quickly figured out that it would be a rush to get it together and organized properly so I changed the agenda and decided the inaugural event would be on the weekend of July 1 to 3 of 2011. How is the Furious 3 going to be different from other stage races in western Canada? Rather than being a race that goes from one location to another, Furious 3 begins and ends each day in The City of Fernie. The goal here is to make a race that is ‘friend and family’ accessible. The racers can bring their friends and the whole family to support them and enjoy the race and the festivities surrounding the race. This also allows racers to choose how they want to experience the event. They can camp and eat hotdogs cooked over the camp fire or they can stay at 5 star hotels and eat at fancy restaurants every night. Our biggest mandate is to support the organizations such as The City of Fernie, The Fernie Mountain Bike Club and Trails Alliance, The Elk Valley Hospital in Fernie and all of the local businesses and the economy of Fernie that support us. 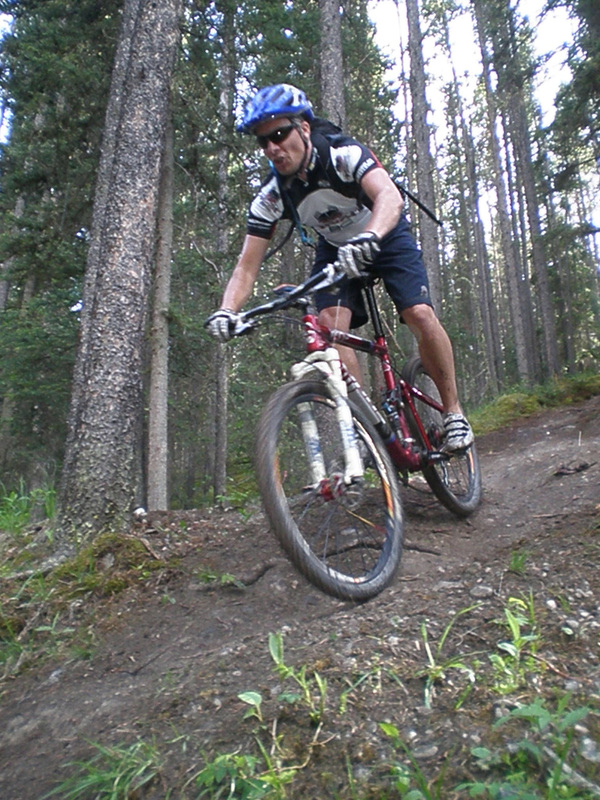 We will also strive to have as much single track as possible, which really isn’t that hard to do in Fernie. There are so many unique aspects of Furious 3. We are a race for the person that doesn’t want to, or can’t take a week or more off , or just doesn’t have cash to pony up for one of the longer races. Although, I’m guessing, after doing a 3 day race, a lot of them will be looking at doing the longer races as well. Do you see yourself as direct competition with the Transrockies, or BC Bike Race? If so, how are you going to carve out your piece of the pie? I don’t see us as competition for the other multi-day stage races that are currently offered. In fact the goal here is to feed those races with more athletes to sign up for their races. Our date was partially picked due to its proximity to TR. Furious 3 will take place approximately 5 weeks before the TR. Thus anyone doing TR would be able to use Furious 3 as a warm up, or practice race to get ready for their larger goal. There are also a lot of people out there that want to get into doing longer races, but need that stepping stone to get them to where they feel comfortable signing up for BCBR or TR. What type of a course can we look forward to? The course will be predominantly single track with mostly Blue rated type trails, trails that pretty much any mountain biker can do without too much trouble. But for those who are looking for some challenges there are some more challenging uphill and downhill technical sections, all of which will be walkable for less experienced riders. So far the only challenge has been choosing from the plethora of available trails to use and how to link them together. 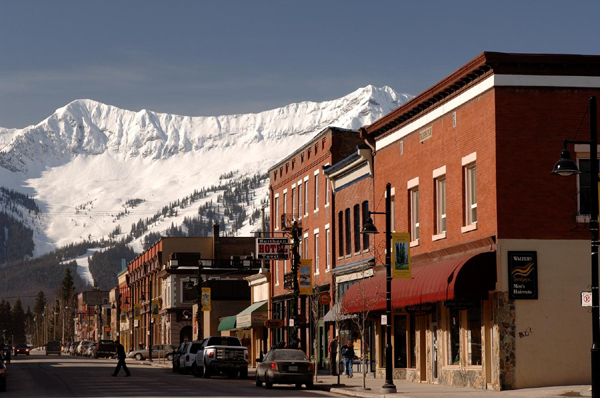 The City of Fernie has been easy to work with and the locals have welcomed us and been more than accommodating. I can’t believe how many phone calls and emails I’ve had from locals asking how they can help. Is there a reason you’re only looking for 200 riders in 2011? There are a couple of reasons. It is our first year and I want to make this the best possible experience for the athletes without extending our resources. I also want to show BC parks and The City of Fernie that we want to build this as an ongoing event year after year and that we will maintain, rebuild and support the ecology and economy of Fernie and the area. Also one of the days will mostly take place on BC Crown Lands and we are currently in discussions about how many people we can have on the trails at any one time. If registration goes crazy then I will be able to show that we do have the interest and that we will be able to backup our mandate and we may be able to allow a few more racers either in 2011 and/or moving forward into 2012. Registration opens in just a few days, Friday September 17th, 2010. And, like Mark said, there are only 200 spots available. The race dates are July 1 to 3 of 2011. Check out the Furious 3 site here. With family on the radar, and having raced both the Transrockies and TR3 I can definitely see the advantages of both the shorter timeframe and the “clover-leaf” format. You could really make an event like this as cheap, or as expensive as you wanted. If you camped for the weekend you could do the whole thing on a shoestring budget and have a killer weekend of world-class mountain biking! Looking forward to next summer!! Yup, it seems like it’s going to offer a lot in the way of flexibility, and like you said, with family on the radar, that will be nice!